Food and Las Vegas go hand-in-hand and whether you live here, are hosting visitors, or are just checking out the city for the weekend, it’s important to know where to eat! 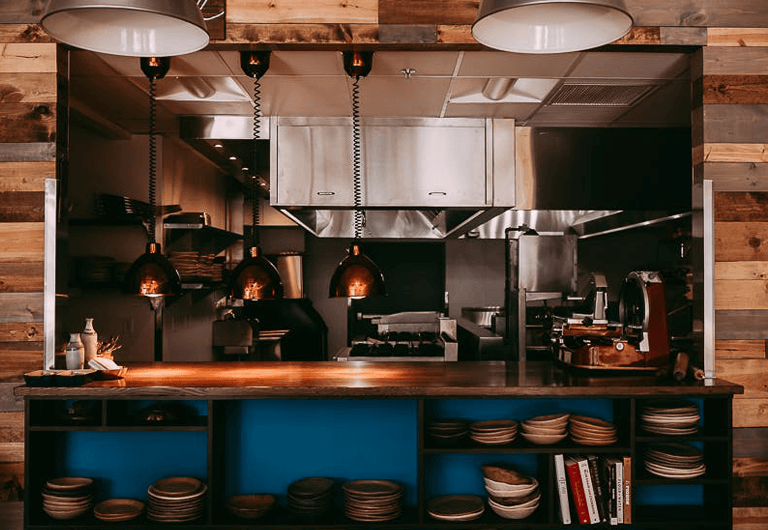 According to Foodable Network, 2018 dining trends will include open concept kitchens, premium experiences for both dining in and take out, meals catered toward solo diners, and unique guest experiences. Although we’re only halfway through the year, we’ve already seen many of these trends emerge in Las Vegas and can’t wait to see what the rest of 2018 has in store. Take a look at some of the newest and most anticipated restaurants this year, and keep your eye out for even more tasty places to eat throughout the rest of 2018. Although Flock and Fowl arrived in Downtown Las Vegas at the very end of 2017, this restaurant has really made a name for itself in 2018. 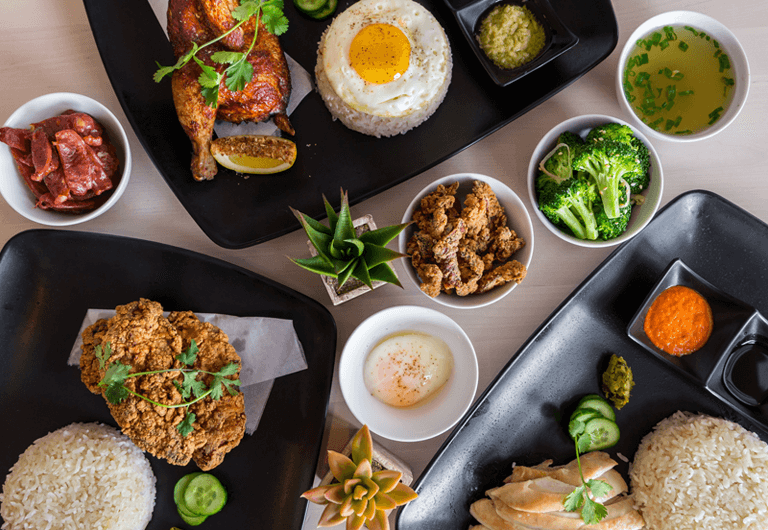 Flock and Fowl has brought something unique to the Downtown Las Vegas area through their Asian-inspired comfort food. This one-of-a-kind restaurant was started by Sheridan Su, who was recently nominated for the James Beard Award for Best Chef, and Jenny Wong. Flock and Fowl lives right on the first floor of The Ogden. Whether you’re looking for a snack or award-winning chicken wings, head over to Flock and Fowl and experience all the goodness firsthand. Block 9 Thai Street Food opened in April of 2018 and has been bringing Summerlin great food and a cool atmosphere ever since. 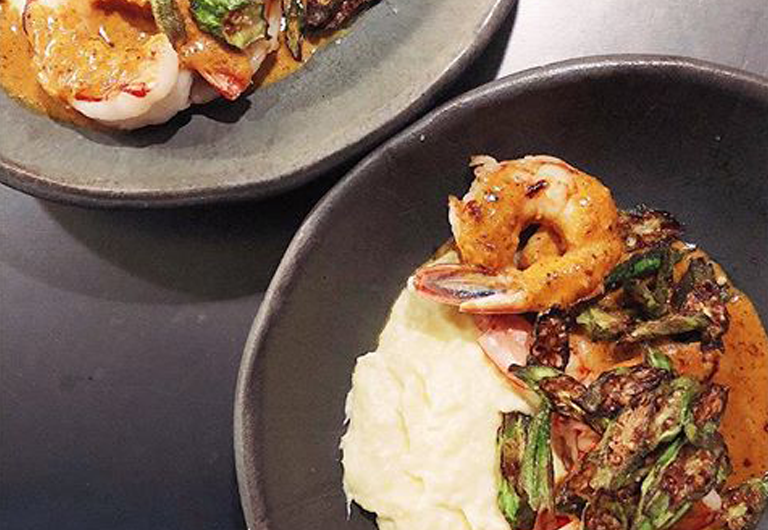 Chef Nittaya Parawong was brave enough to bring a brand new concept to the desert and thanks to her extensive experience, Thai roots, and authentic inspiration, Las Vegas is the lucky recipient of her delicious concoctions. 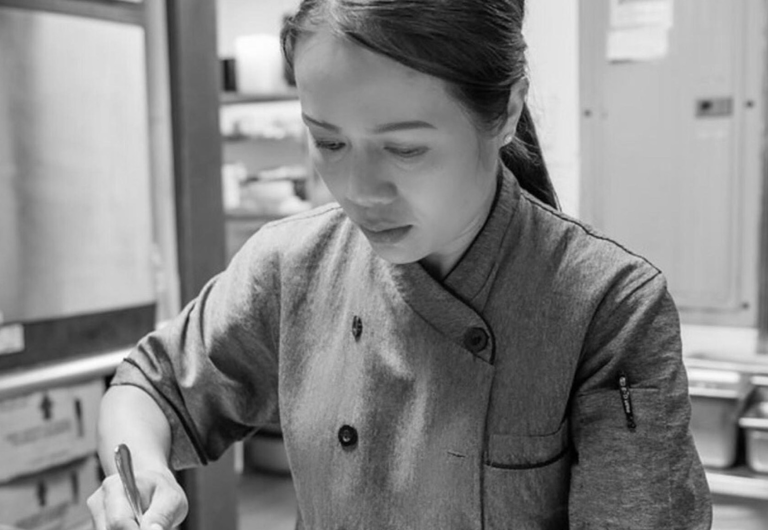 Her goal has been to provide quality take out, a unique dining ambiance, and delicious Thai flavors and she and the Block 9 team are doing just that. One of Downtown Las Vegas’ most anticipated openings came to life in January of 2018, bringing new flavors and concepts to the Las Vegas Arts District. Esther’s Kitchen owner and Chef James Trees brought unique lunch and dinner options to our city. Although Chef Trees is Jewish-Austrian, he has always been fascinated by Italian dishes. Named after Chef Trees’ great aunt Esther, this Arts District spot offers salad, pizza, pasta, and much more! Saturday and Sunday 4 pm – 11 pm. We couldn’t make a list of best new restaurants in Las Vegas without including at least one spot on the Strip. 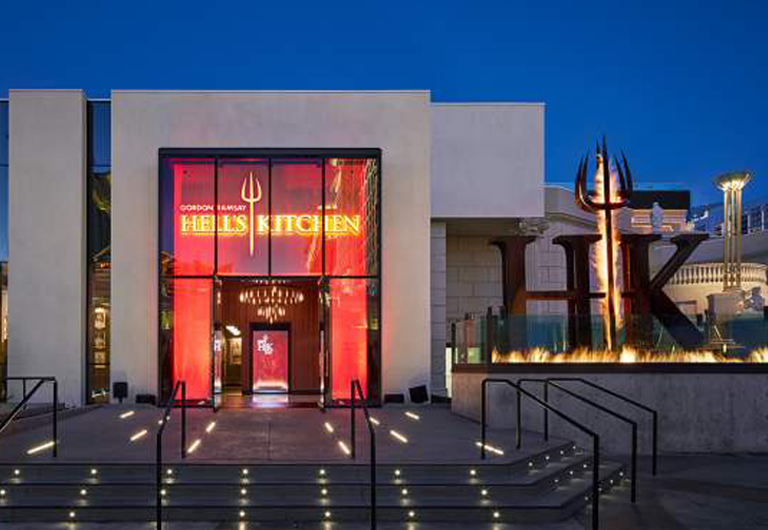 Hell’s Kitchen, Gordon Ramsay’s famous television restaurant, has finally made its way to Vegas. This 4.5 star restaurant is located at Caesar’s Palace and offers nothing but the best for its diners. This “studio set” style restaurant dishes up burgers, Beef Wellington, and everything in between. Whether you’re planning a date night or want to take visitors to this business-casual spot, you’re sure to have an amazing meal. “Amazing food! Got a chance to meet Season winner Chef Michelle, too. Staff is great, food was delicious & Manager was awesome. Make sure to try the Beef Wellington… it was yummy! There is lunch course meal that they offer that is worth the price. We noticed lots of people just ordering the burger, but you need to order the specialties to taste the foods they are known for! Of course, the Lobster Risotto, too. Vincent Rotolo, fine dining chef and co-owner of Evel Pie, has found his calling with Good Pie in Downtown Las Vegas. Located in Pawn Plaza, Good Pie opened in February 2018 and brings locally-owned, hole-in-the-wall pizza to the area. 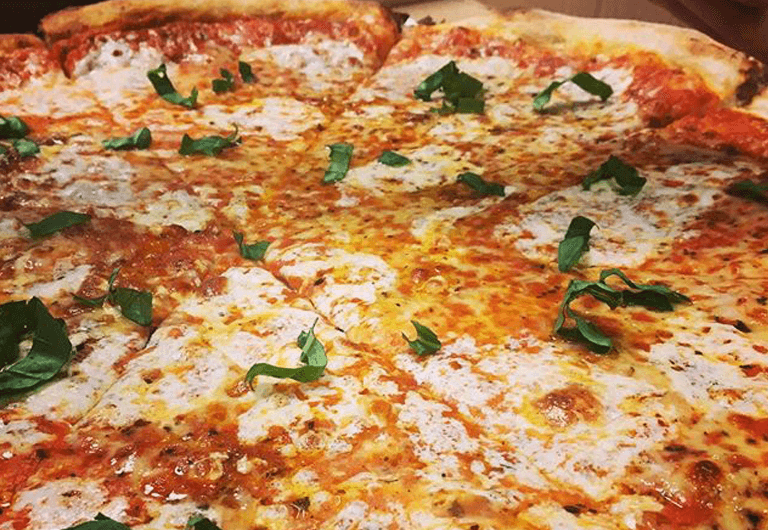 Whether you’re in the mood for a classic Brooklyn-style pie, a Detroit-style square, or a vegan-friendly slice, Rotolo has you covered. Experience his passion for pizza today. “Hidden little gem located in the back of the Pawn Stars plaza on Las Vegas Blvd. This place sells some quality good pie, dare I say even GREAT pie! What’s all this talk of a feline frenzy? Well, we have good news! A cat cafe and rescue is coming to the Las Vegas Arts District. Rhiannon Gladney, a cat lover at heart, has been working for years to bring this concept to the Vegas Valley. Not only will guests be able to enjoy a coffee or pastry, but they’ll also have the opportunity to play with or adopt a cat! Meow or Never’s mission is to reduce Las Vegas’ euthanasia rate through adoption programs and pop-up cat cafes. 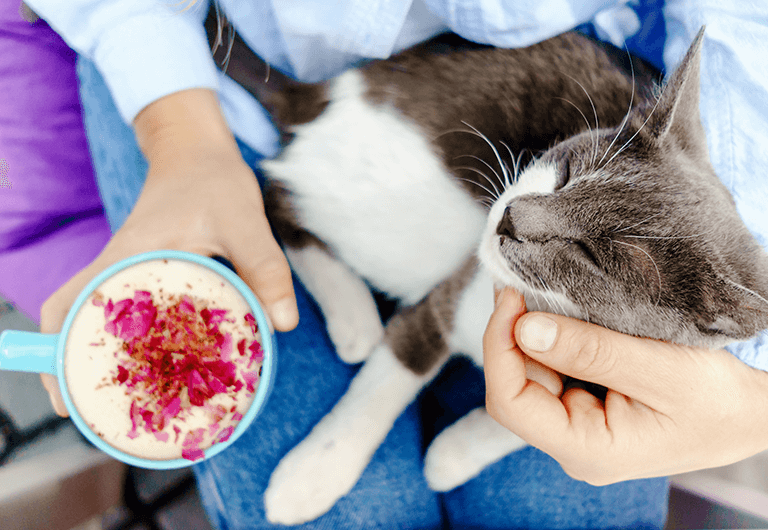 The cafe will have a cage-free playground for the kitties and guests can enjoy their beverage with a side of cat fluff. While the next stop on the list doesn’t serve food, they do have a number of beverages to accompany your Las Vegas restaurant tour. Three Sheets Craft Beer Bar opened in March of 2018 and has become the spot to grab a craft beer. Owners Stefanie Jackel and Wendy Rather offer 30 beers on tap, with everything from IPAs to Amber drafts and their inventory is constantly changing. 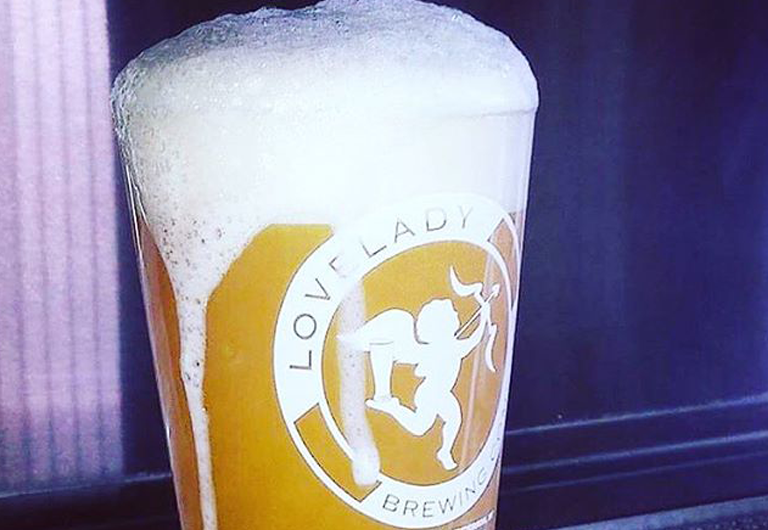 Enjoy craft beers, live music, and lots of fun at this new Las Vegas brewery. 1115 S. Casino Center Blvd. New York locals Danielle Crouch and Allan Katz have brought a Jamaican bar and kitchen to the Arts DIstrict. Jammyland opened in March of 2018 and offers amazing lunch and dinner options. Paired with the amazing atmosphere, twinkle light patio, and Jamaican-inspired decorations, this is a must-see stop on your Downtown Las Vegas adventure. Try their amazing cocktails and reggae-inspired dishes for a good time. 2018 has brought a number of local gems to Las Vegas, and the year is only half over! Go out and explore these amazing restaurants and bars, located right around your home at Juhl.